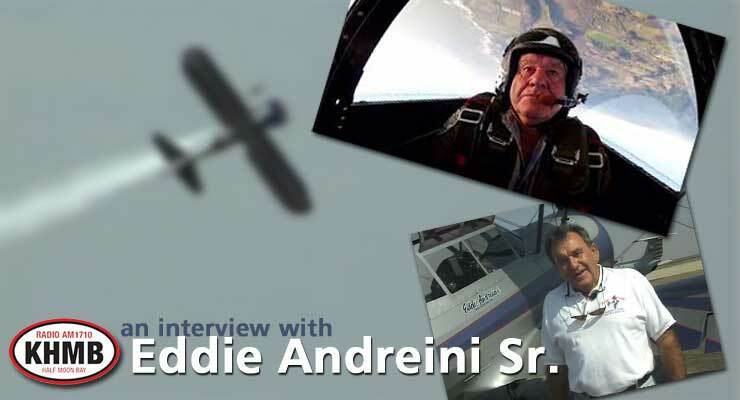 Local aviator Eddie Andreini Sr. was a Hall Of Fame legend who passed away on May 4, 2014 doing what he loved – stunt flying in a vintage aircraft during an airshow on Travis AFB. KHMB was fortunate enough to record a chat with him shortly before his accident. This was first aired in January of 2015. Mr. Andreini was a mainstay at the popular Dream Machines event held annually at the Half Moon Bay Airport. Filed Under: Featured Story, Home Top List, KHMB, Podcasts, slider Tagged With: Eddie Andreini Sr.